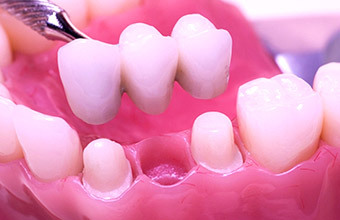 A dental bridge is a series of connected crowns that are used to fill the gap left by one or more missing teeth. To give the bridge its support, the crowns on each end of the bridge are placed over the teeth adjacent to the gap. Dr. Khetani is very skilled and experienced in the creation and placement of bridges. She uses top-quality materials and an excellent dental lab to make provide bridges that are aesthetic, natural-looking and durable. Bridgework requires some shaving down of the natural teeth on each side of the gap so the bridge can be placed over them. Dr. Khetani takes great care to remove only the tooth structure that is absolutely necessary, which helps avoid complications in the future. She also makes sure that the adjacent teeth are healthy and stable before any work is done, ensuring that the dental bridge will last a long time. A dental implant is an additional option for replacing one or more missing teeth. An implant is a titanium post that is inserted into the jawbone. It is topped by a dental crown, making the combination a replacement for both the visible part of the tooth and the root. Dental bridges are a faster and more economical option for replacing missing teeth in the short term, and require no surgery. 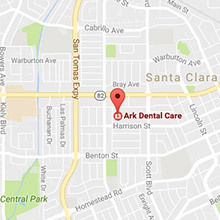 In certain circumstances, such as when the adjacent teeth need crowns already, a bridge might be a very suitable option. 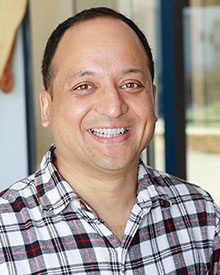 In general, Dr. Khetani recommends dental implants for all patients who are eligible to receive them. 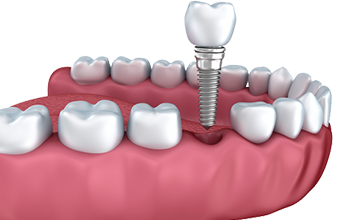 Dental implants have the strength, feel and function of natural teeth and prevent the bone loss in the jaw which will otherwise occur as a natural consequence of having missing teeth. Implants additionally do not require the cutting down of adjacent teeth. This weakens those teeth and makes them very vulnerable to decay or fracture over time, and can lead to more extensive dental work down the road. Dental implants are also easier to care for than dental bridges. With proper care, dental implants can last a lifetime, whereas bridges generally have a lifespan of only seven to ten years. Dr. Khetani will conduct a comprehensive exam and let you know what tooth replacement options she recommends for your situation. 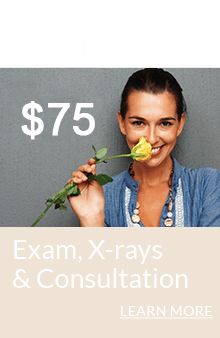 She will fully explain the pros and cons of each option so you can make a well-informed decision about your treatment. “I like Dr. Khetani’s technical skill. She’s very methodical and efficient with attention to detail. She reshaped my crown until the bite was perfect.